Ahoy mateys! 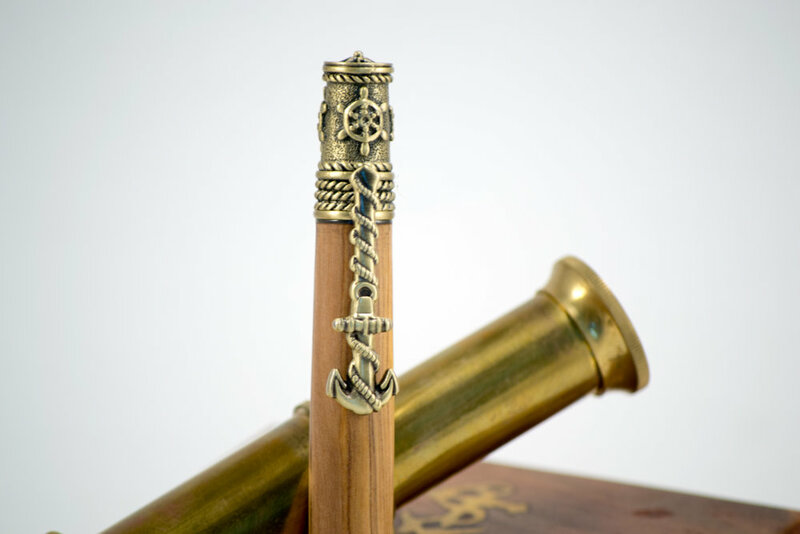 This nautical-themed pen is the perfect tool for filling out your first-mate's log book, marking up sea charts, or just day-to-day writing with an oceanic flair. 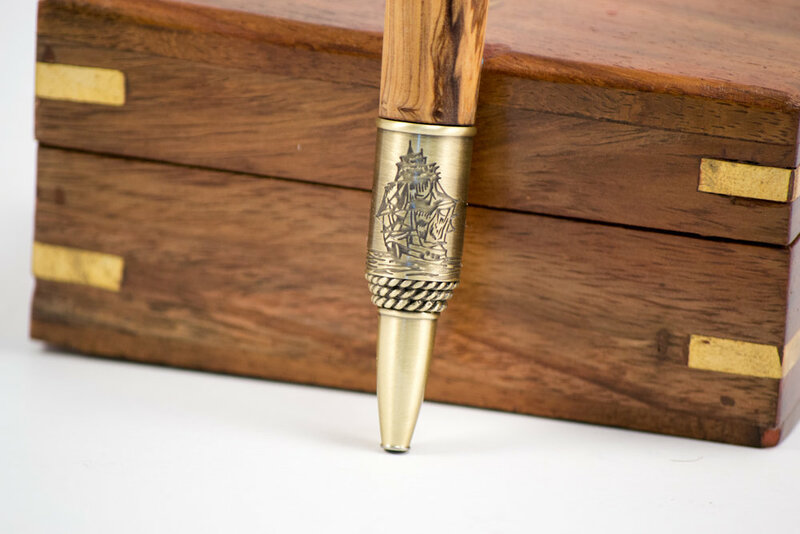 This pen is hand-turned from olive wood, which features a strikingly wavy grain pattern, with dark streaks contrasting the light beige of the wood. The hardware is made from brass, and features ropes, anchors, ships, and even a compass rose on the end. It has a good heavy feel in your hand, and is finished with a matte shellac-based friction finish to protect the wood. It is refillable with 'parker' style ink refills, available at most office supply stores.